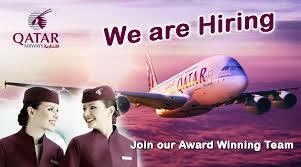 Welcome to a world where ambitions fly high – QATAR AIRWAYS! Qatar Airways is happy to announce that they will be holding 2 cabin crew recruitment events in the Philippines, in Manila and Cebu! So, if you missed the last recruitment, here’s your chance or opportunity to apply. *Note that this is an Open day and you are required to come and submit your application personally.